I was caught off guard this past week by the convergence of multiple narratives like many streams meeting to produce a waterfall. In my heart, I was not expecting what I encountered. The strong currents of these narratives converged, lifted me off my feet, and washed me over the edge. Two of my children (who will remain nameless to protect the guilty), were going at it over breakfast. One had sought to correct something the other was engaged in doing and the one being corrected was having none of it. What began as older-over-younger correction was quickly escalating to younger-under-older resistance and a verbal war was about to ensue. Being too early in the morning for these shenanigans, my wife Crystal broke in: “You are not his mother, I am! If you have a problem with something he is doing, you bring it to ME and let ME deal with him! Now apologize.” After a reluctant apology, Crystal then spoke to my son, “THIS is your SISTER! And although she was overstepping her place as your sister, she is still your SISTER and the words you said to her were unkind. You apologize to her now!” Another reluctant apology was given. I went back to the narrative of Genesis 4 and checked it. And Zahnd was right on the money! This could have been the “beginnings” of early land disputes. Ancient societal wars between stationary “tillers of the soil” and nomadic livestock “herders” is documented. Place yourself within that culture. Think of the older sibling and younger sibling dynamic in every family. Now, fall into the narrative where the older is the oppressive land owner and the younger is the nomadic herder. Imagine tillers of the soil being the dominant group, and the herders being the hated and marginalized. Associate the older sibling dynamic with the “tillers” and the younger oppressed sibling with the “herders.” Put those glasses on and then go reread the story. Just as with the crucifixion and resurrection narrative, God has regard for the victim of systemic injustice, over and against the often repeated “God is on our side” claim of the oppressors. And here is the kick-in-the-gut point! Cain must now trade places with Abel, and himself become a “nomad” to learn, from experience, what it is like to be marginalized. The story starts out with a brother asking Jesus to be his “arbiter” dividing up an inheritance between himself and his brother. Jesus then embarks on a radical story that pulls back the thin veneer hiding the fact that this squabble between brothers was just another repetition of history, with “Cain” about to kill “Abel” once again. 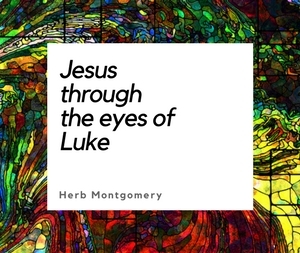 Jesus contrasts the narrative of human societal arraignments with the narrative of His Kingdom. Walter Brueggemann defines the narrative of this world as scarcity, anxiety, accumulation, territorialism, and ultimately violence. In other words, we believe that there is a limited amount of what we all need, and that there is only enough for just a few. This produces an undercurrent of anxiety that leads to competitive accumulation. Once our accumulation reaches a comfortable level, our anxiety changes now to territorialism over that which we have worked so hard to accumulate. We then turn to violence to protect what belongs to us. Jesus, in Luke 12, in the place of our broken Cain and Abel narrative of this world, is offering the narrative of His Kingdom instead. Jesus’ Kingdom narrative is abundance (there really is enough for everyone) rather than scarcity. This, if believed, will create gratitude rather than anxiety, sharing rather than accumulation, giving “freely” rather than territorialism, and peace-making in opposition to violence. Jesus ends with, you don’t have to fight others for your place in this new world that I’m creating. “It’s the Father’s good pleasure to give you the Kingdom.” You don’t have to fight each other for it. There is enough for everyone. The culture war in America is just another example of the narrative of scarcity (of power), anxiety, accumulation, territorialism, and violence. As within any war (whether political, economic, sociological or religious) both sides will always have their proof. Both sides will believe they are right. Both sides will possess high levels of certitude in their evidence that their cause is just. But which side is right? Which side should we choose? To try and find out which side is correct is to miss the point. God is not asking us to discover which side is right and then take that side against the other. God is asking us to throw the whole system away. He will not give us certitude as long as we are only going to use the certitude we receive to simply become another Cain. We will first have to learn to love, to make room for those who are different from us. Only then is it safe for God to give more light. This is also what Wendy VanderWal-Gritter calls Generous Spaciousness. Another book that I cannot recommend highly enough. Within the context of Luke 12, Jesus is saying, it’s the Father’s good pleasure to give it to you both. You don’t have to fight each other for it. There is enough room in Christ’s Kingdom for everyone. “Everyone?” someone might object. Yes, everyone. And it is this truth that transforms both Cains and Abels to no longer be a Cain or an Abel, but to be members of a radically new way of arranging life here on earth. In Jesus’ new world, “There is no longer Jew or Greek, there is no longer slave or free, there is no longer male and female; for all of you are one in Christ Jesus” (Galatians 3.28). Notice that in each of these examples Paul is merely mentioning opposing sides (more “Cains and Abels” competing for a place in this world) that were vying for first place in the culture wars of his own day. Our challenge today is to not be the “Older Brother” so smugly assured of the Father’s love for us. Our challenge is that we really cannot stomach our Father including those “Prodigals” whom we think should be excluded. (Go back and reread the parable of the prodigal son through the lens of the Cain and Abel narrative.) Jesus, over and over again, is whispering to us that if any are lost at last, it will not be because they could not accept God’s love for them, it will be because they could not accept God’s love for someone else that they thought should be excluded. Can you imagine Paul saying today that there is no longer Republican or Democrat, Evangelical or Secular, Straight or Gay? No more “us and them,” for you are all one in this new world Jesus is creating? This is too much to stomach! No, No, NO! But Jesus is whispering, “Yes, yes, yes.” And it is the embrace of the “other” as a child of God too, that transforms all of us into the kind of people that will make up this new world. I’m not saying we are “allowed” into this new world no matter what we are. I’m saying that recognizing our enemies as children of God too, and giving them a place at the table beside us, whichever side you are on, changes us into the kind of people that will comprise this new world Jesus is creating. No one gets in without transformation. But the transformation is not to make them like us. The transformation is to see them and us as both, children of God. If this causes Cain-like responses inside your heart space, I want to encourage you to spend some more time quietly contemplating this week’s passage in its context in Luke 12. It doesn’t matter whether the territorial accumulation is an inheritance between brothers (think Cain and Abel) or political power between ideologies, a chair position over intellectual ideas, or the coveted title that “God is on our side”; we are all siblings. We are all children of the same divine Parents. We spend our days, like my children at the breakfast table, in competitive relationships for top positions to “fix” the other, or in violent resistance to being “controlled.” In reality we are all children—sisters and brothers squabbling over which one is really favored by our “Parent.” Today our world is filled with Taliban Afghans verses American democracy; Republican corporate ideology versus Democrat social policy; or, closer to my daily world, Religious adherents arguing with each other to figure out which side is right in one religious debate after another. It’s the Father’s good pleasure to give the Kingdom to us all. We don’t have to keep fighting each other for it. It’s as if the holidays are coming, and it won’t be long until we have to take our seats once again around the same family table. Some of us, right now, are Cains, and some of us are Abels. It is our Parent’s good pleasure to give us both a place at the table. Will we take it? Will we take our place beside each other at the same family dinner table of our divine Parents once again? There are lessons we have to learn first. But those lessons are not who is right and who is wrong. The lessons we need to learn first are how to love our siblings who are different but who are nonetheless our brothers and sisters. Your just and fair reign come, Father, when all oppression, violence and injustice will be put right. Your dream for restoring all of us be done, on earth, as it is in heaven. Give us all, including Matt, and Jeff, and Hillary, and even little Ryland, what we all need for today. And may we learn to forgive, as well as be forgiven; to love as well as be loved; to restore and heal, as well as to be restored and made whole. May we not be dragged as scapegoats to unjust trials, but delivered from the way of the accuser. For Yours is the Kingdom. And it is Your pleasure to give this Kingdom to the least of us. We don’t have to fight each other for it. Your kingdom come Father. Upon us all. I’ll close with Paul’s words in his letter to believers in Rome. We are all children of God. You’re not their Parent. God is. And your job, as their sibling, whether you agree with them or not, is to make room for them within this family, realizing we are all on a journey; we are all in process. If they are doing something you believe to be wrong, don’t take the punishment of that wrong into your own hands. Take whatever it is they are doing to our heavenly Parent. And then cooperate with whatever our Parent shows you. It may be about them, or it may be about yourself. Whatever needs discipline will get it. But it is discipline, not punishment. Whatever the result, it is our first priority to listen to our divine Parent, and it is our second priority to love all, even our enemies, as members of our same family, as our siblings. Jesus redefined Moses’ “neighbor/kinship” bond to include the enemies of the Jews as well. No wonder they grabbed Jesus and tried to “throw him off a cliff” (see Luke 4.29). Wherever this finds you this week, Jesus’ message to you is, “It is the Father’s good pleasure to give YOU the Kingdom.” You don’t have to fight anyone for it. There is enough manna for everyone. It belongs to all of us, as a gift. This week I want you consider which group in our world today frightens you the most. 1. I want you to take this group to Jesus while you and He, together, contemplate the narratives of Luke 12.13-32 and Genesis 4.1-14. 2. Write down what Jesus shows you. 3. Share with your HeartGroup what you have discovered. Wherever you are this week, keep living in love. Keep following Jesus into the restoration of God’s original purpose for the human family. Until the only world that remains is a world where, once again, love reigns.